These muffins are not particularly springy, but they are particularly good! Lots of nutmeg, freshly grated if possible, make these chewy-but-airy little treats sing. 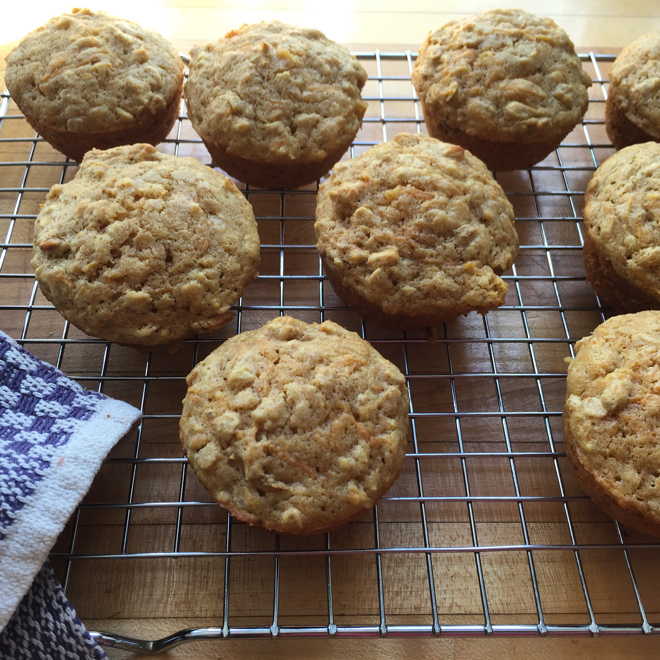 And grate those carrots on the small holes of the box grater and you’ll end up with an elegant texture for this otherwise rustic muffin. My son endorsed them heartily for breakfast, school snack, after school snack and bedtime snack! Lightly butter or oil a 12 cup muffin tin. In a medium bowl combine the flours, oats, spices, soda and salt. 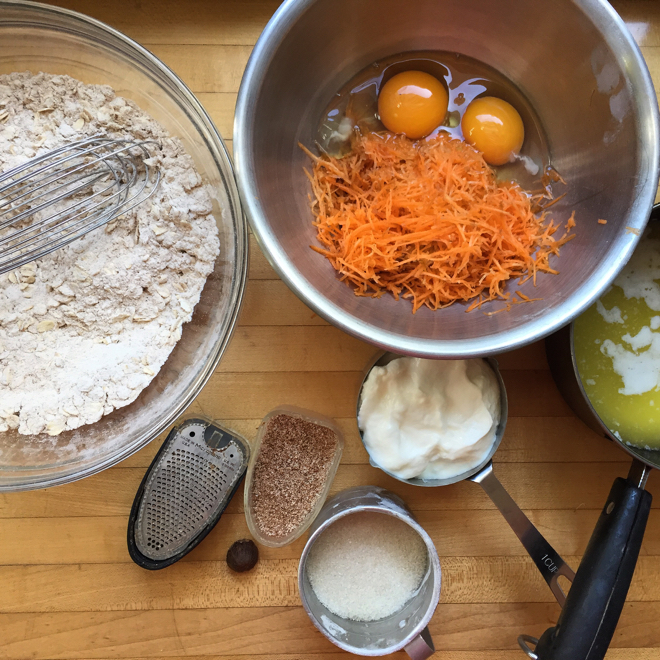 In another bowl whisk together the eggs, carrots, sugar, melted butter and yogurt. Add the wet ingredients to the dry ones, combining them quickly and well. Do not over mix. Portion the batter into the prepared muffin tin and bake for 18-25 minutes, checking after 18 so as not to dry them out. Remove from the tin and let cool on a rack. They are best on the first couple of daya but hold up beautifully if frozen right away and thawed as needed.